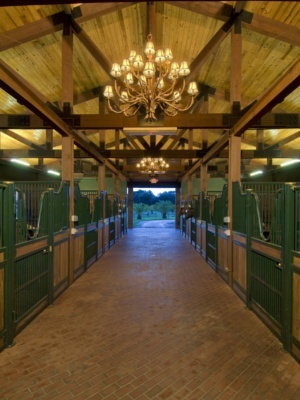 This 9,300 S.F., 16 stall horse barn was custom design for a large residential parcel of property in Eastern Manatee County. 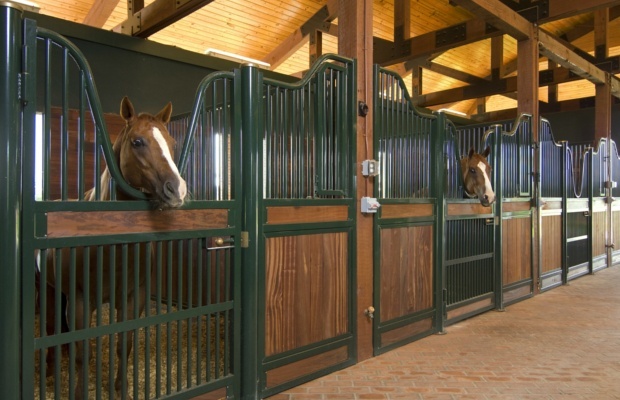 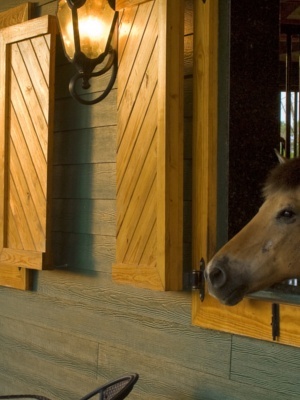 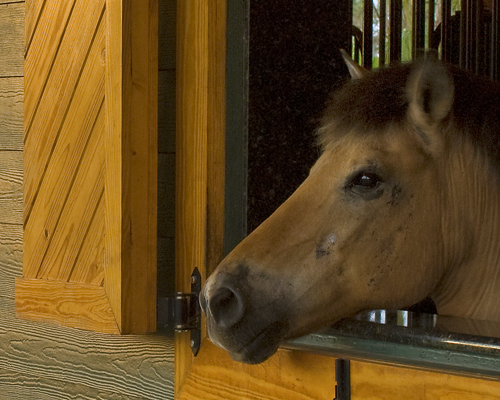 The horse barn features an air-conditioned office, tack room, storage and restroom spaces. 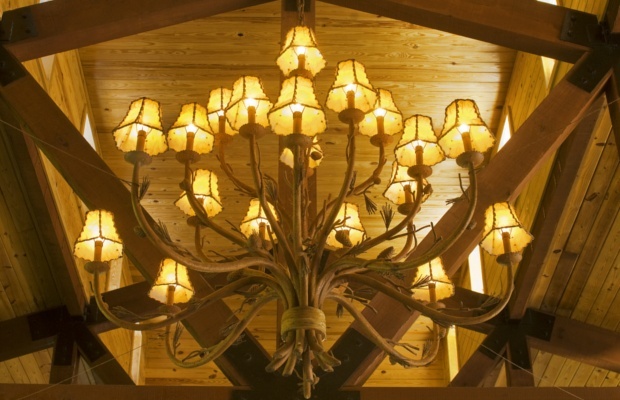 The roof structure is exposed heavy timber trusses with a 5-V crimp metal roof. 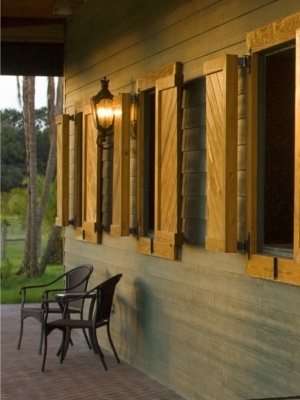 The building utilizes a louvered clerestory to allow for natural ventilation throughout the barn, and is surrounded by a brick column colonnade. 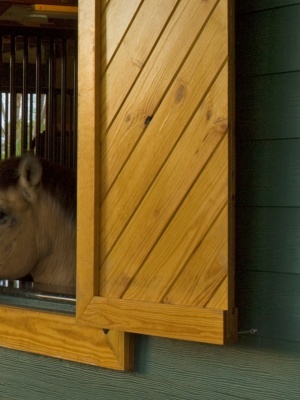 Custom individual stalls lined with exotic wood finishes out the interior.